I was hoping to post this yesterday, but the weather was amazing...we played outside and watched football all day. IT was so nice! We are having fabulous weather right now, and I LOVE it! 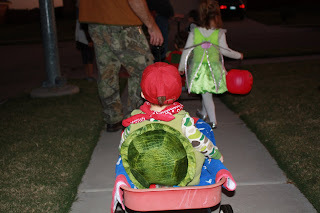 Before we started Trick or Treating we went to the neighbors house for pizza. Here is a quick shot of all the kiddos before we headed out. LOTS of boys!!! And we are off...Hayden in the wagon...daddy pulling and LK ready to run! Hayden is licking the candy off his lower lip. I didn't want him to bust open the candy until we got home, but he was eating it through the package. 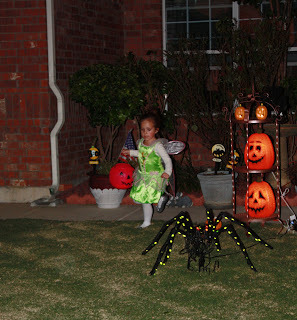 Layla couldn't wait to get home to pass out candy. She knew Hayden wouldn't last too long; he needed his bed after about 45 minutes of Trick or Treating. 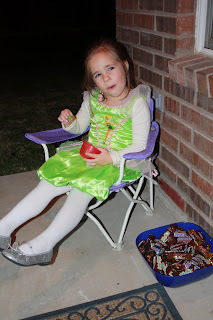 She grabbed a chair, a bowl of candy to eat, and some to pass out! Looks like a SUPER fun night! I love the picture of Layla eating candy while passing candy out too! What a cute family pic! Adorable! 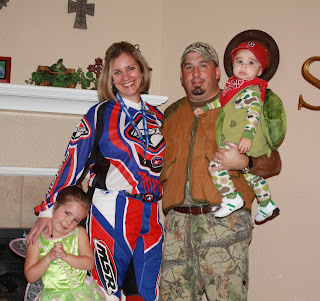 Glad you guys had a great Halloween! 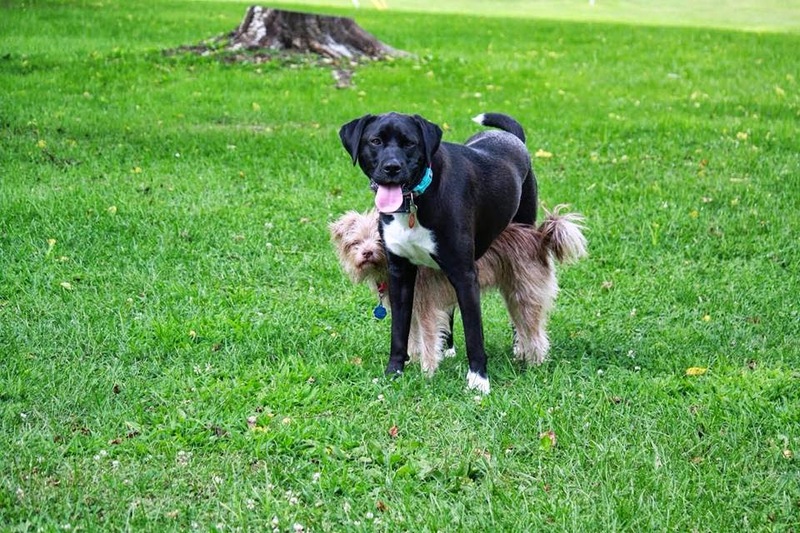 You guys look so cute together!! I love it when the whole family get's into it. Sounds like y'all had a great time! Everyone looked so cute!!! So fun! Your costume is totally cracking me up! I love when they say "this is the best ___ ever." It melts my heart. Now I have the Franklin song in my head. Cute costumes. So cute! Love the pictures! 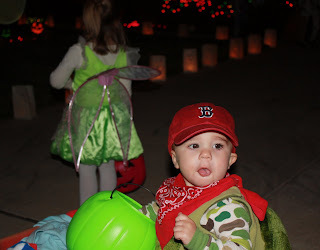 our kids wanted to pass out candy more this year too! 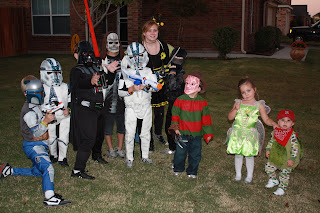 They liked when people came to the door, and Alex had Halloween music playing outside :) Great costumes!